We need to change direction at CPS so that our neighborhood schools get the resources they need to thrive, with a focus on expanding equity. Our schools don’t flourish when their doors are closed, their budgets slashed, their children tested to death, their dedicated staff fired en masse. I know what it takes to improve schools. In the course of the next week I will be releasing a multi-plank platform aimed at improving public education in Chicago. 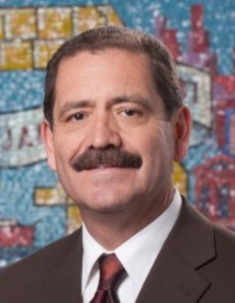 First and foremost, we must return the schools to the people of Chicago. That means no more closings and the right of the people to elect those who govern education in this city. Mayor Rahm Emanuel has twice twisted himself into a pretzel trying to keep referenda for an elected school board off the ballot. He fears the result because it would prove that the people really want a voice in the all-important issue of public education rather than dictatorial control by a mayor. Fortunately, this year more than 30 wards will have the opportunity express their belief in the importance of an elected school board. Unfortunately, these referenda are only advisory. I will make them a reality. I stand firmly behind an elected board because I believe it is a fundamental constitutional right. Mayoral control of the school system is a key element of so-called “reform,” along with high-stakes testing, promulgating charter schools, closing “under performing” schools and the unspoken goal of weakening teacher unions. Long before “reform” and the institutionalization of mayoral control under Richard M. Daley, in 1995 through state legislation — which I voted against while I was in the State Senate, we Chicagoans had de facto mayoral control for decades under Richard J. Daley. Daley appointed school board members, who were then ratified by the City Council, and who did everything the mayor ordered. Daley, however, was insulated from personal responsibility, because technically the board was an independent agency. Mayor Emanuel exercises total board control, and we haven’t heard a peep of dissent from the School Board, notably on the recent massive shutdown of more than 50 elementary schools—nor on wasting taxpayer money on new charter schools when Chicago Public Schools are so short of funds. As it happens, Chicago is the only jurisdiction in Illinois that does not have an elected school board. This raises the question of constitutional rights and civil liberties: the right to elect those who govern an institution so vital to our city. School systems are perhaps the main governmental bodies touching the lives of a majority of our citizens, especially minorities. Consider the ugly initial result of this board’s unanimous “YES” to Emanuel’s order to close all those schools: Remember how they promised all the exiles from those underperforming “Level 3” schools would go to better performing schools? A whopping 40 percent actually wound up in Level 3 schools again, 37 percent in Level 2 and only 21 percent in Level 1—to say nothing of 570, or 5 percent of the 11,729 displaced students who are nowhere to be found, according to a Catalyst magazine analysis at that time. Would that have happened if board members were responsible to a district-by-district electorate? The time has come for accountability. I pledge that among the first things I will do as mayor is go to the legislature to seek legislation allowing Chicago to join the rest of our state and have the democratic right to elect those who govern our schools. Should that fail, I will file a federal voting rights case, based on the US Constitution, to achieve the goal. An elected school board is a constitutional right—yes, even a human right. When I am mayor, all Chicagoans will have that right.